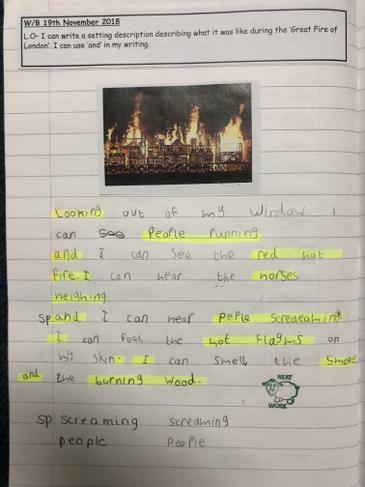 This week the children have been learning about what it would have been like to live during the Great Fire of London. We took part in an Imagineering session where we used our senses to pretend that we were in the streets when the fire started. We thought hard about what we could see, hear, smell, touch and tatse. We worked together in groups to think of super adjectives to help us describe the scene. We then used all of this vocabulary to write our own setting descriptions. How far did it spread? What happened after the Fire? 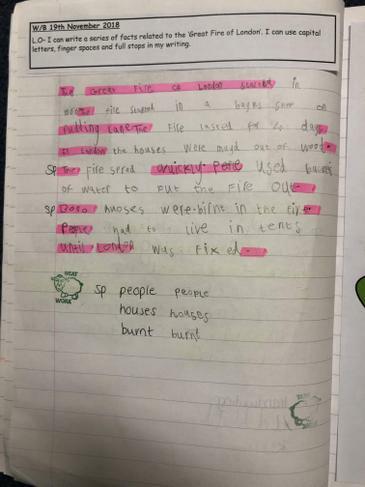 We then used all of our knowledge to create a piece of non-fiction fact writing about the fire. We found the story very interesting! 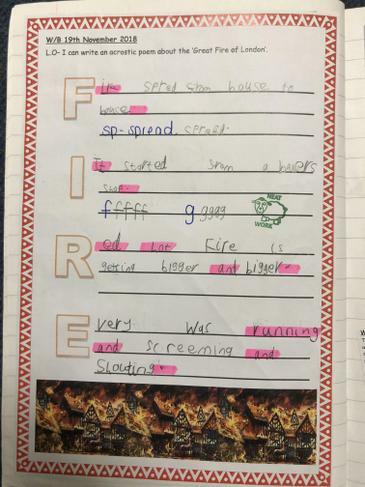 Later on in the week we then used our knowledge to create out very own acrostic poems about the Great Fire of London. We hope you like them! 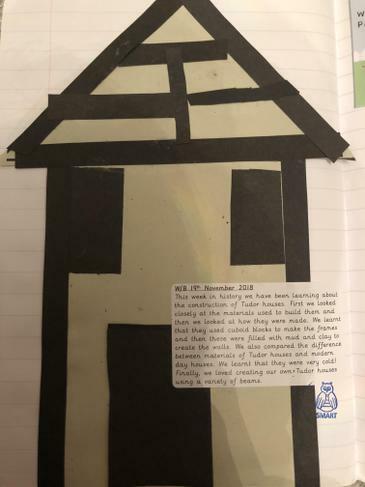 This week in history we have been learning about the construction of Tudor houses. First we looked closely at the materials used to build them and then we looked at how they were made. We learnt that they used cuboid blocks to make the frames and then these were filled with mud and clay to create the walls. 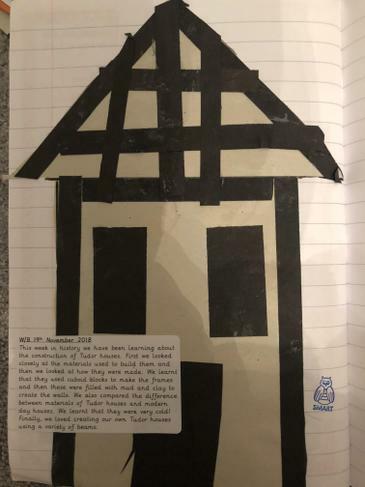 We also compared the difference between materials of Tudor houses and modern day houses. We learnt that they were very cold! Finally, we loved creating our own Tudor houses using a variety of beams. 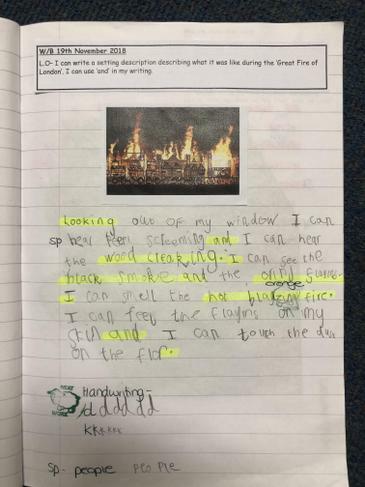 This week in year 1 they have been thinking about the aftermath of the Fire of London. They learnt that they had made lots of changes to the city after the fire. All the houses were to be made of stone or brick, streets were made wider and houses we not to over hang the streets. The fire brigade was formed in London. The children then created maps to think of what they would do to create a safer city of London. Well done 1GH! The children learnt about a very important person who taught us what we know about The Great Fire of London. 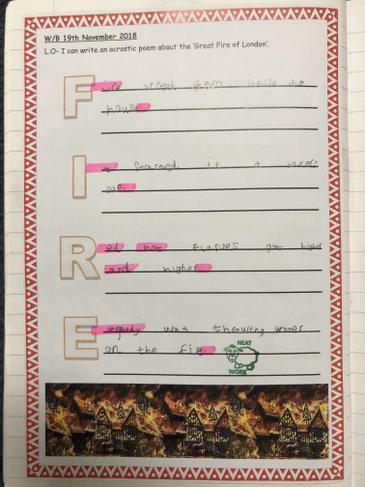 Samuel Pepys wrote a diary throughout the days the fire took place and discussed lots of events and reasons for why the fire was so devastating. 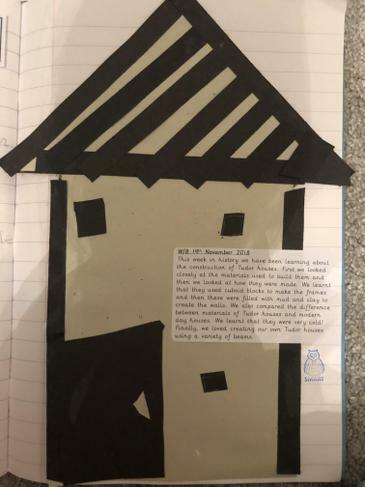 The children read parts of the diary and completed a gap fill activity of one of his diary's. They found it very funny when he said that he hid is cheese and wine in his garden to protect it from the fire. Super work year 1! 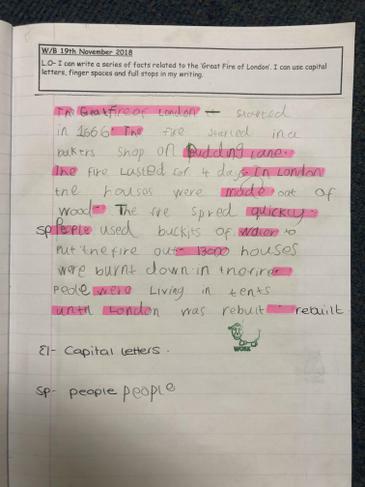 This week the children have been looking at the houses in the Great Fire and London and thinking of why they helped the fire spread. They learnt about the technique of using 'Wattle and Daub' which is wooden frames filled with sticks, mud and clay to create the walls. 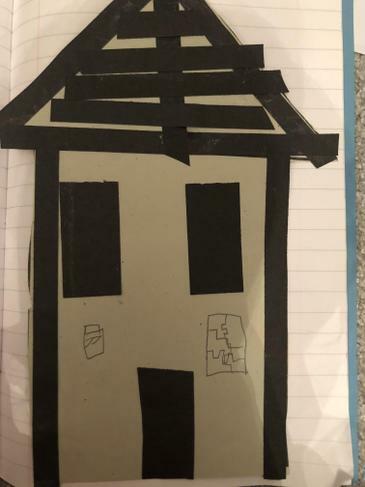 We compared modern house with the Tudor style houses. 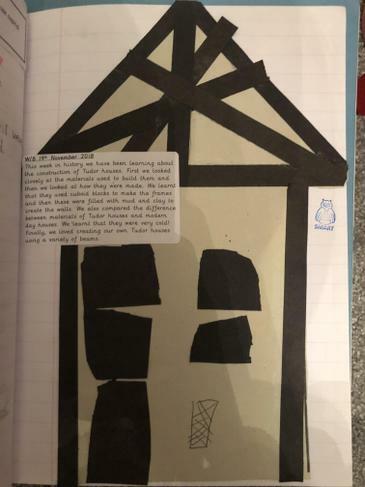 After looking at the different materials they used they used to make Tudor house the children created their own using paper. They enjoyed making patterns with different lengths of card to make the beams. The children have been learning about why we celebrate Bonfire Night. 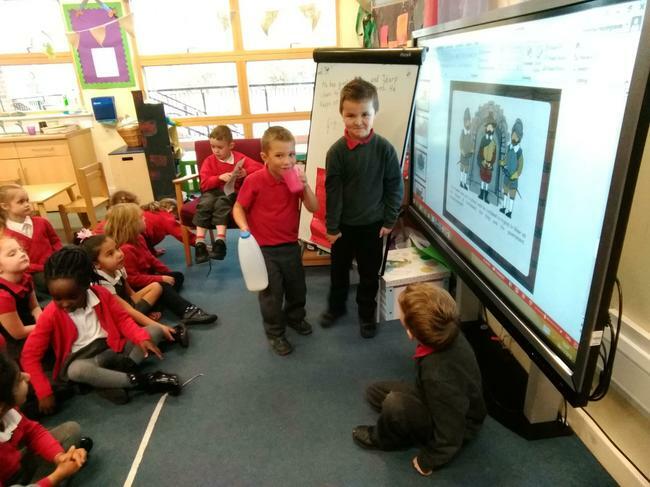 The have acted out roles to retell the story of the Gunpowder plot. They have thought about how they would have been feeling and things that they may say. 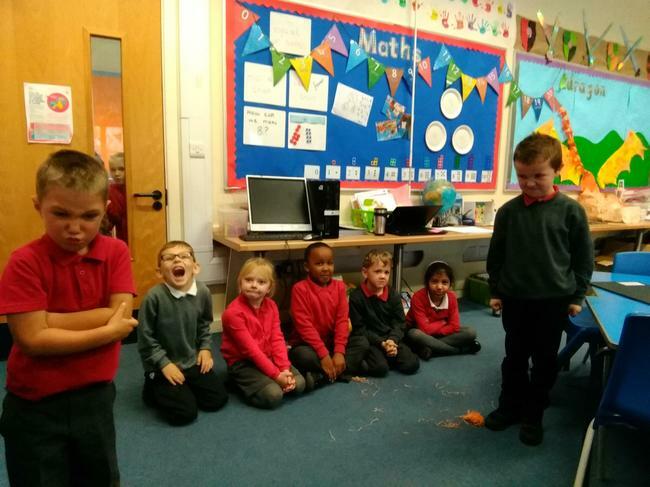 They all had fun acting out the events in front of the class. They then ordered the events and wrote recounts on what happened. This week we have learnt about the story of ‘The Gun Powder Plot’. We have learnt about who Guy Fawkes is and why he was sent to prison. 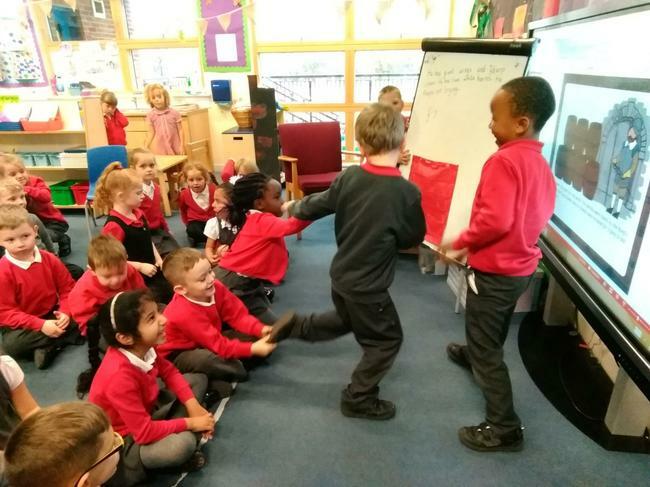 On Wednesday afternoon we enjoyed taking part in a drama activity when reenacting the story. We each enjoyed taking on a different role and thinking about what speech each character might have been saying throughout.